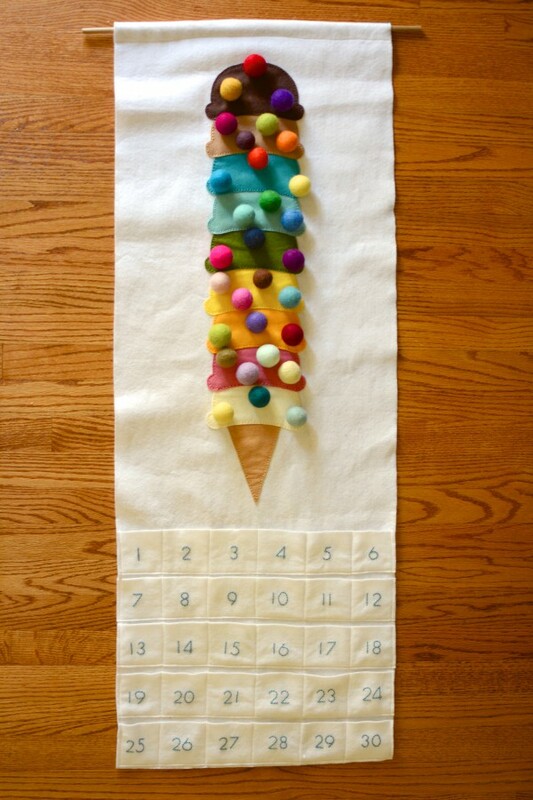 My niece Psalm turned one a few weeks ago, and I made this countdown calendar for her. 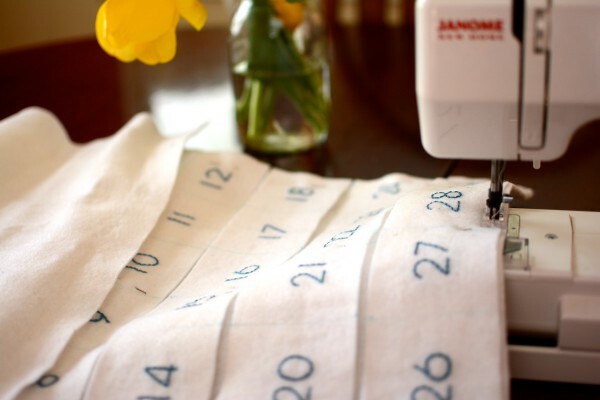 I got the pattern from The Sugar House Shop — it works like an Advent calendar, but you countdown to a birthday. I wanted to share it here because I am oh-so-very happy with how it turned out. 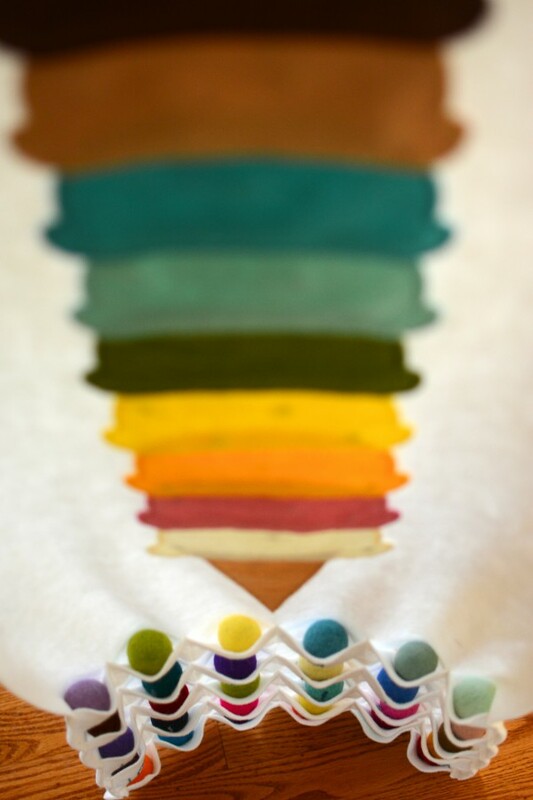 I at all wasn’t confident when I started this project, so I was especially excited by the finished product. I’ll admit, at first I thought I could buy the item, not the pattern. When I realized I’d have to make it, I balked. 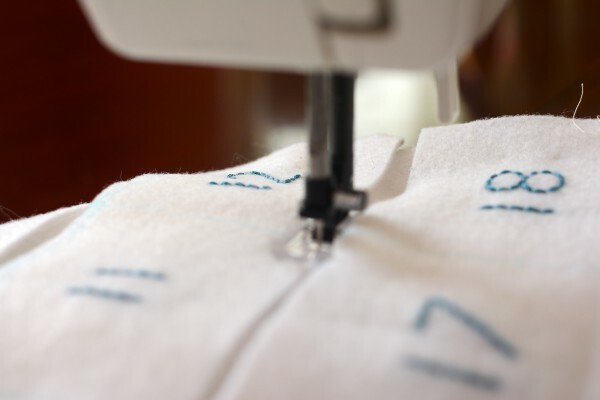 I like sewing, but it isn’t my thing. I can knit, but I’m not at all confident or skilled using a sewing machine. 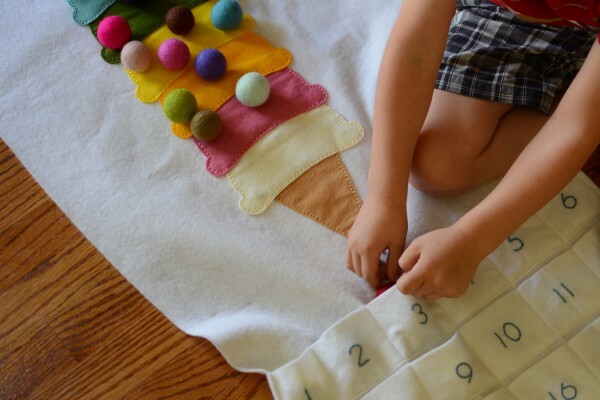 The pattern insisted it was easy — even for beginners! — so I went for it. I figured that if it didn’t turn out I could always hit up the toy aisle at Target, right? 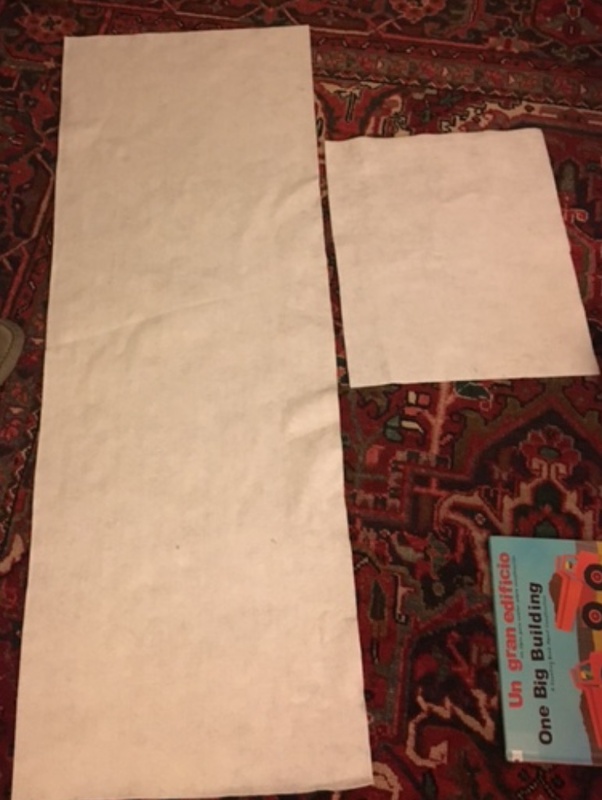 After shopping for supplies (the pattern includes helpful suggestions for where to find things), the first step is to cut these giant pieces of wool felt. This took me two whole hours. TWO HOURS. In my defense, I didn’t have the right tools. And yes, a poor craftsman blames his tools. But that’s the point. I am a poor craftsman and I don’t have great tools. I obsessively measured, re-measured, marked, corrected, re-measured. And then I cut. Measure 100 times. Cut once. And after all that measuring, I still cut imperfect rectangles. 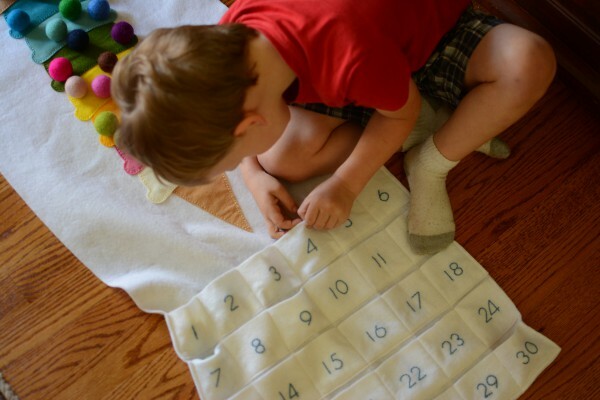 Next — embroidering the numbers. This part was actually fun. I made tons of mistakes, and learned as I went, but I enjoyed this part. And as I stitched, I started to get excited about the rest of the project. 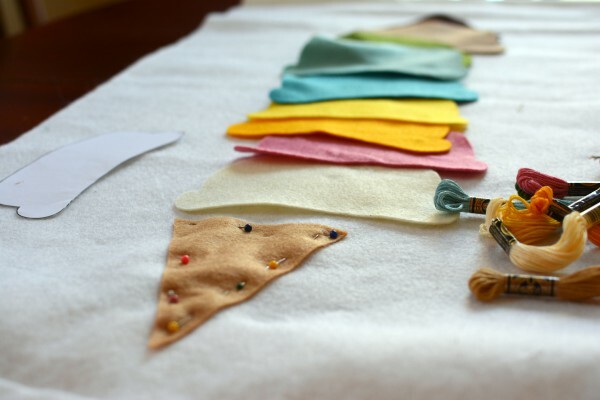 Next, sewing. With a sewing machine. This was the part I was dreading most. 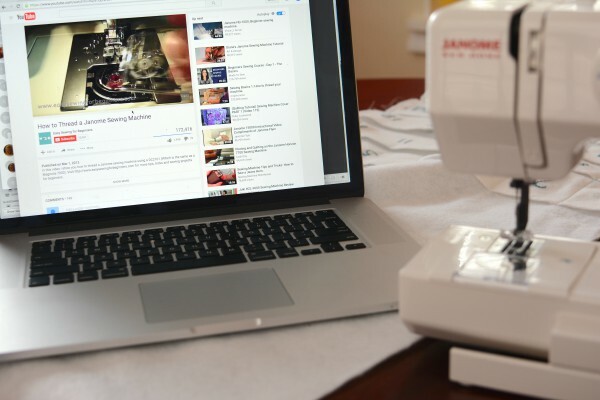 I own a sewing machine, but I never use it, so I’m not good at using it. I couldn’t even remember how to thread my machine. Thanks, YouTube, for more than 20,200 videos on that topic. I texted my mom the entire time. 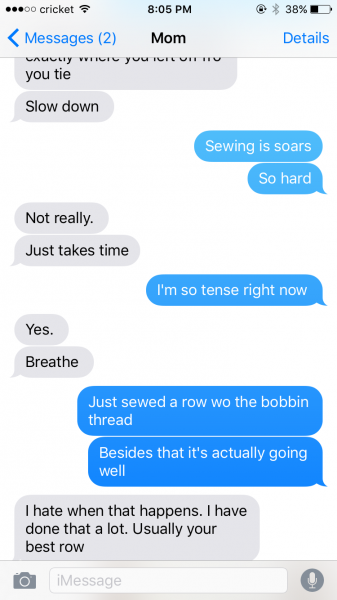 The moments when I looked away from the sewing machine and at my texts was the only time I relaxed during sewing. Otherwise, if my presser foot was engaged, I was completely tense. If you look behind my needle, you’ll notice the row I just sewed isn’t sewed at all. Gotta check that bobbin. The rows were imperfect, but (for me) sewing really was the hardest part. With that behind me, I started getting really, really excited about the final product. Next, the sprinkles. 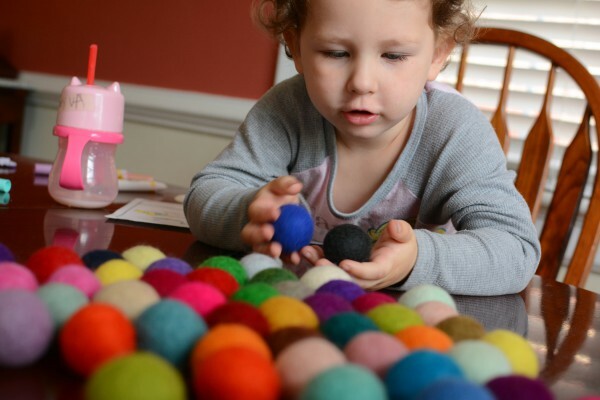 Thirty gorgeous felt balls from Benzie Design. This is the part I felt like I never got the hang of. 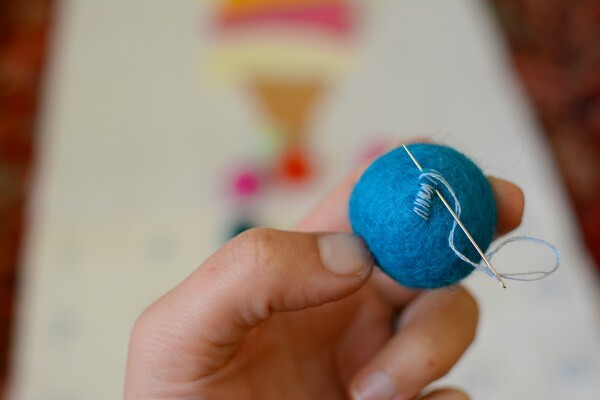 The process is: cut open the ball, insert magnet, stitch the opening closed. 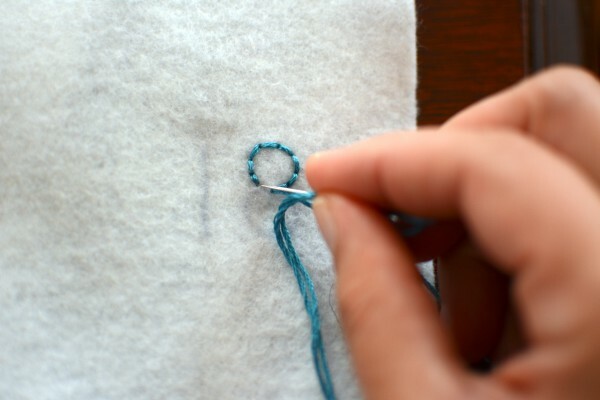 I wanted even, neat stitches, but the wool felt behaved differently each time, so the result was never uniform. 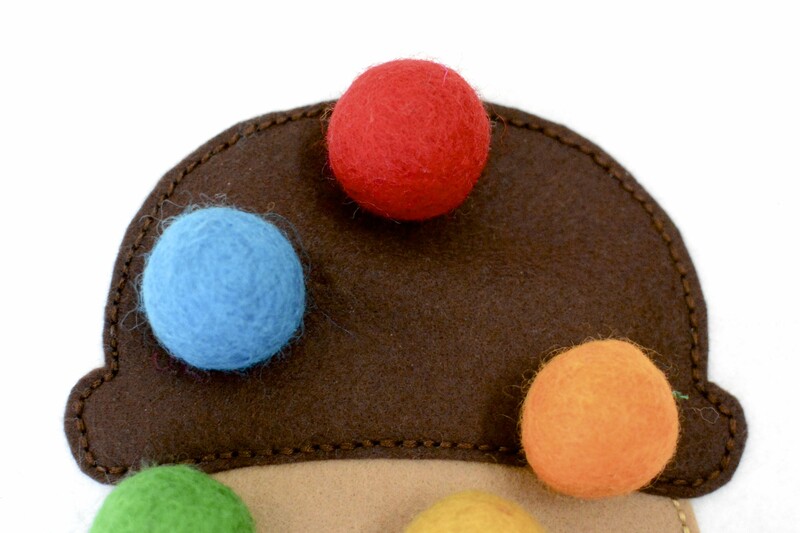 But even with uneven stitches, the felt balls were so fun and beautiful. My kids were so fascinated, I had to keep them hidden. 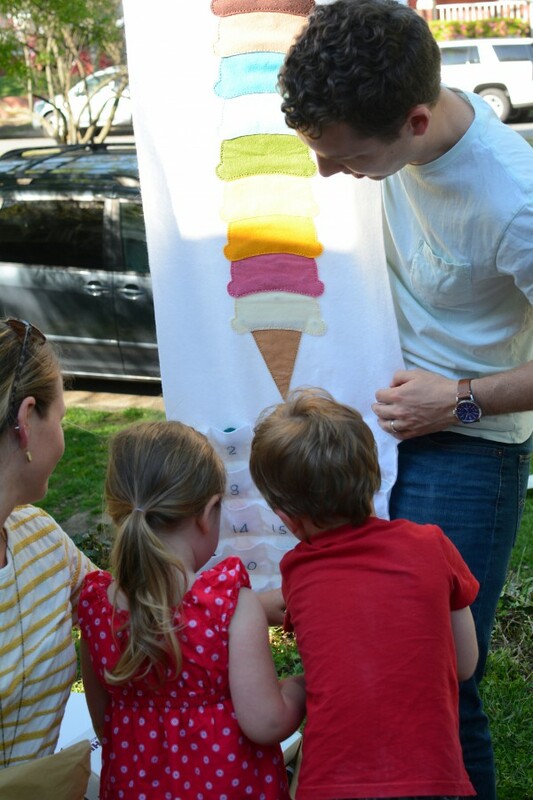 Next, adding the actual ice cream to the ice cream calendar. 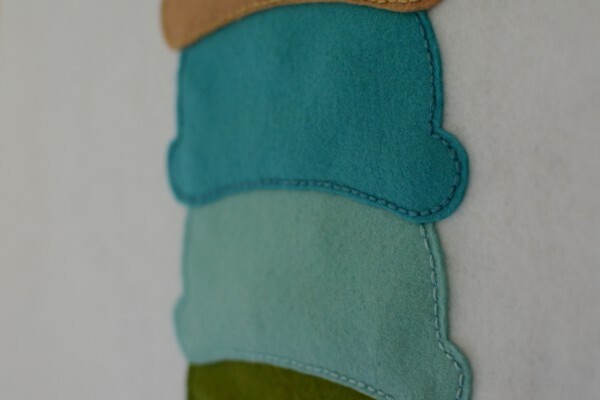 Placing, pinning, embroidering; uniform stitches on beautiful wool felt. I was petrified it would be grabbed by blueberry hands or — worse — the pieces would be slipped away and quietly stuffed into a Cinderella purse. While I worked, David asked me to make one for him. 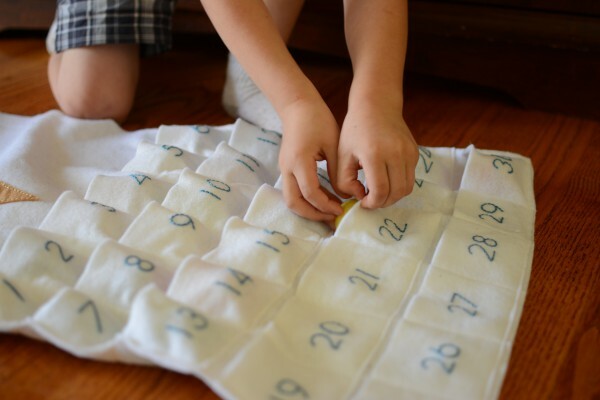 He was intrigued during the whole process — all the kids were — and loved the finished calendar. 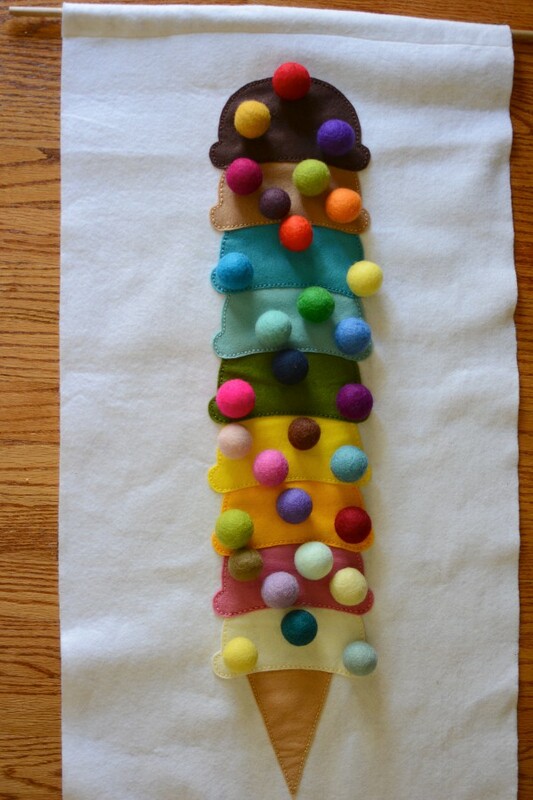 Counting the sprinkles and slipping them in and out of the pockets. He was excited to show it to Psalm and her family at the party. I have leftover materials to make another, and even though the finished product isn’t perfect I really did enjoy the process. Maybe in a month or two I’ll make one for David’s birthday. 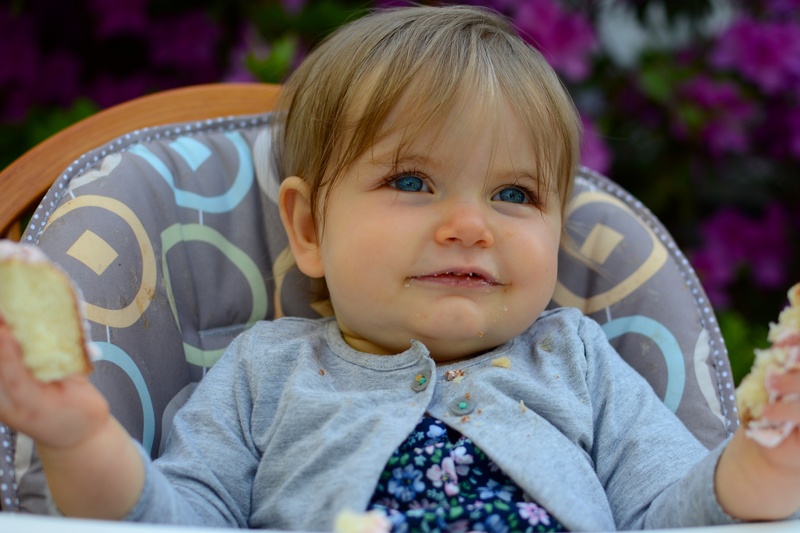 Happy birthday to sweet baby Psalm, who will be a toddler before we know it. 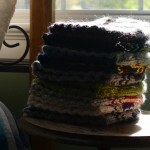 For this and other beautiful patterns, check out The Sugar House Shop. Aunt of the year award goes to you, my dear. This is absolutely the sweetest thing I have seen all week – and I follow a lot of puppy accounts on Instagram, so I see a ton of sweet things. :) Psalm is clearly one very loved little girl and so very special to have this beautiful treasure to countdown to her birthday each year. Even better – it was handmade by her favorite aunt! 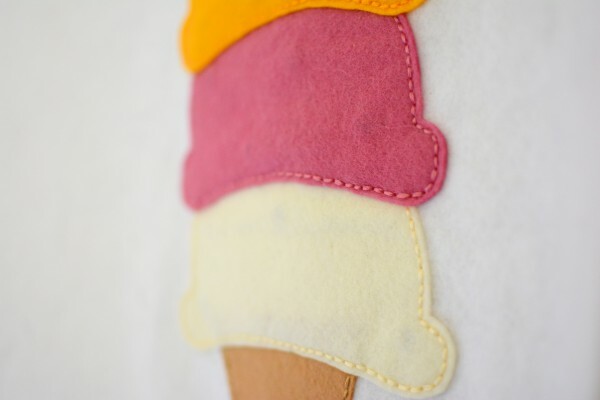 But really, your stitches are pro, especially the backstitch on the ice cream scoops as well as your numbers. You would never know you stressed at all because it turned out perfect in every way. Oh, and is that your adorable daughter admiring all the ‘sprinkles’? that photo is priceless! Thank you so much for sharing! You did a wonderful job!!! 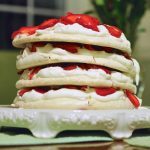 loved looking at your pics and reading your descriptions. 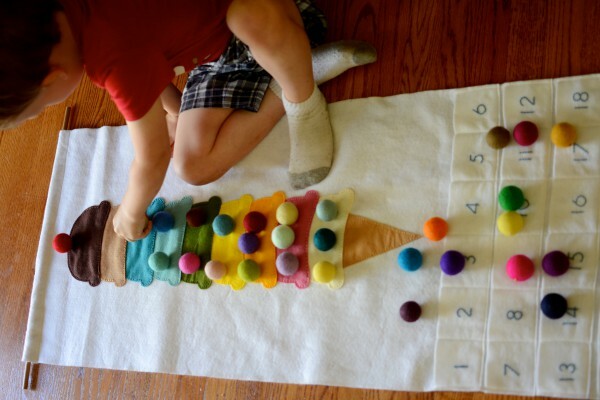 I’m making a B’day Ice Cream Advent right now for my grandson James (3 in Oct.) and another for my grandson Evan (1 in Oct.) They are both in the same family and I want Evan to have his own… Thank you for sharing your pics.